The Federalist ideas on assuming the state's debt was that the federal government should assume the state's debt. They believed the federal government should pay for the national and the states debt. 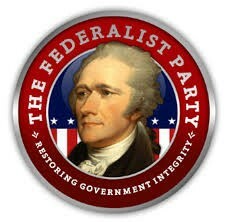 Alexander Hamilton a member of the Federalist party supported the creation of a national bank. He believed that a national bank is necessary and proper to store money and issue bank notes. The Federalist party despised the violence and social disruptions of the French revolution. That means that they didn't support the French Revolution and didn't want to get involved. The Federalist wanted a strong central government. The Alien and Sedition acts were a set of laws passed by the Federalist to silence the Democratic Republican Party and to silence its newspapers. The Federalist didn't want war with Britain during 1812. But the United States ended up going to war any way. My slogan for the party would be " Strong and Central Will Succeed."